Heat a large cast-iron skillet. Season the pork chops all over with salt and pepper. Add the oil to the skillet and swirl to coat. Add the pork chops and cook over moderately high heat, turning occasionally, until browned and an instant-read thermometer inserted in the thickest part registers 135°, 12 to 14 minutes. Transfer to a plate and let rest for 5 minutes. Meanwhile, in a medium bowl, mix the parsley with the sunflower seeds, garlic and lemon zest. Season the gremolata with salt and pepper. 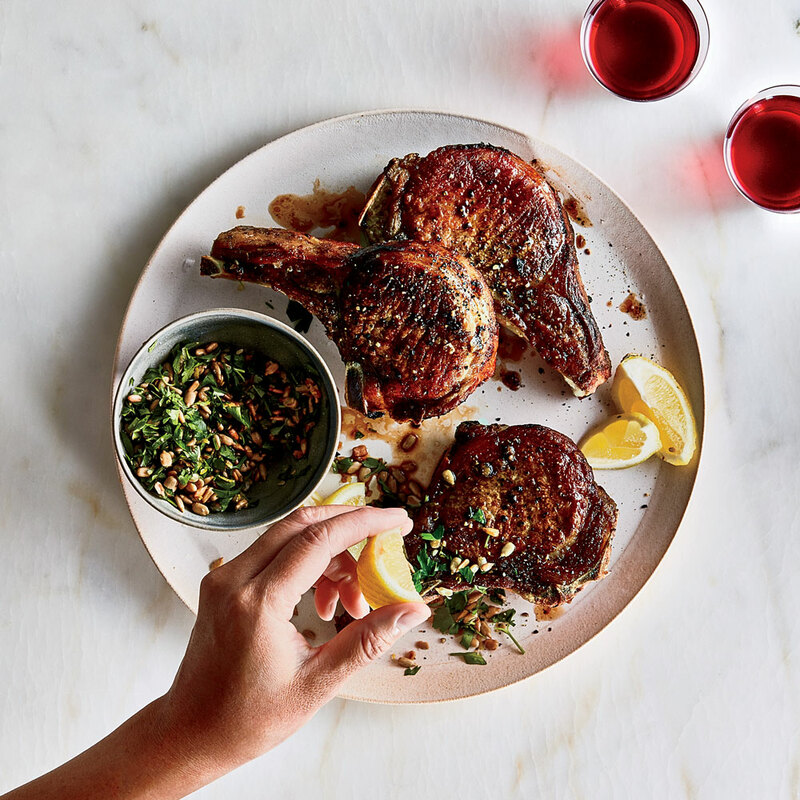 Serve the pork chops with lemon wedges and the gremolata.